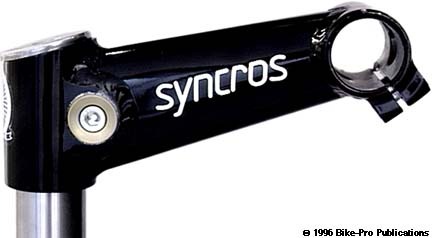 I am looking for a polished silver (but black will do) Syncros Cattlehead ahead style stem in 1" diameter. Preferably about 150mm but 135 and up will do as well. Also looking for an Answer Hyperlite handlebar to go with it. Hi, I have a Womens 1958 Norman 3 speed in above average condition and all original. BB, headset and front axel have all been repacked, Sturmey archer Hub has been rebuilt and shift cable has been replaced. New brake lines and brake pads. The chain has been cleaned and relubed. All chrome and steel has been polished, frame was cleaned and waxed. Paint has some wear but still in above average condition. Bike is Dark blue with white pinstripes, Seat tube has "Norman of England" decal and chain gaurd has "Western Flyer decal. Tires are original Western auto tires in nice shape. Please email me if you would like more pictures. Thanks for looking! I almost forgot, I am asking 160 for this bike. how many centimeters from the ground is this bike (I am short)? where is your location? i might be interested in buying this bike. I will measure and let you know very soon. My wife is about 2 inches over 5 foot and it fits her well. I am located in Canton, Ohio about an hour south of Cleveland. I assume you want to know how high the seat is from the ground? I am also going to take more pictures of the bicycle and post them on my flickr page. Look for the new pics in the near future for a more detailed account of the condition. This bike is still available... I will entertain reasonable offers. for sale is my columbia 1950 bike. restore or ride as is. for pics please contact me at ledgerled at comcast dot net.